Ehwaz is the half-month stave through 14 April. Mannaz reversed is the intuitive rune, and Ansuz indicates Vision’s message to us. Read right to left is Ehwaz, Mannaz reversed, then Ansuz. 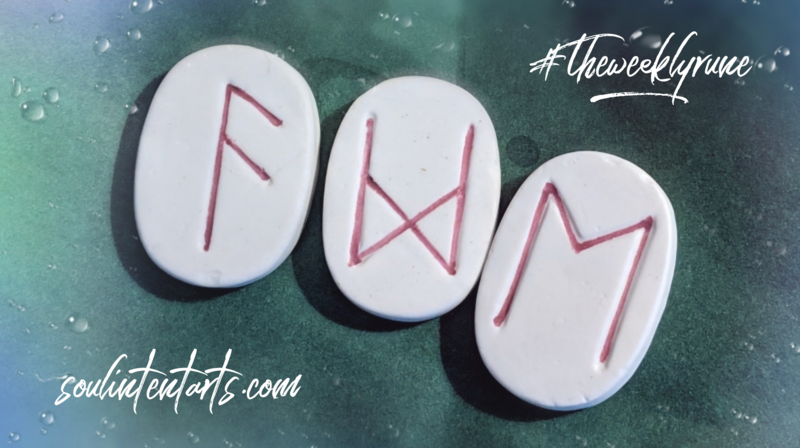 I truly believe that #theweeklyrune includes the keys to making better choices based on keen insight into the present, to help each of us be more active in creating a better reality for us all. That realization process includes learning to tend what can’t just be fixed, and using every tool at our disposal to accomplish that. The runes are such a tool, and in the Old Norse tradition, this process is wyrdweaving at it deepest potential. The runes provide one way we can create ourselves as fit elders, so that we can become well Ancestors upon death. Listen to my What in the Wyrd podcast, which is available across all popular podcast platforms, including Google Play and iTunes. Ehwaz holds us in this careful place of depth and potential. Not quite a void space yet also not fully formed, when we dive down into its spiritual implications for the dynamics in our mundane, we find that sweet spot between known and unknowable: both the answers and more questions. Ehwaz is the rune of going deeper. It means ‘horse,’ which is the Old Norse metaphor for ecstatic trance, or examining the spiritual roots of every day dynamics. 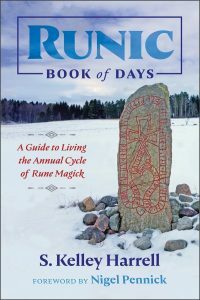 Most people refer to Ehwaz as the rune of shamanic trance, though the ability to hold bridged space between spiritual and earthly layers isn’t reserved only for shamans. It’s animism at its most simple. To understand what I mean by that, check out the last episode of What in the Wyrd, in which I discuss the connection between animism and the broken path. That discussion was carried deeper in Everyday Animism, a podcast I co-host with Janet Roper and Brandice Schnabel. Here’s where this week’s cast gets more interesting: we’re expected to be self-reliant. Mannaz reversed as the best way to approach Ehwaz says we can expect to be alone in this process. Well, maybe not literally alone, but solitary. Also, don’t expect a lot of mental juice for this undertaking. Mannaz is the rune of mental processing. Upended, it suggests that our thought processes won’t be up-to-date for what’s needed right now, we won’t have the clarity to approach it at a cognitive level, or that we do but that’s not the best application for this concern. However it shows up, remember the wider range of skills. In particular, return to Ehwaz, and see what can be done at that level. Ansuz speaks as Vision–another first in TWR. Vision approach me as timeless. We often think of having vision as forward-thinking, progress, always on a trajectory of onward movement. However, this voice referenced Vision as a moment of All. It’s neither forward nor backward, above, below, within, without. It’s none of these, and all of them, at once. With Ehwaz as animism, Vision reminds us that when we stand in that awareness, we are All. When we make that connection, there is only interconnection from that point forward. We have the ability to put ourselves in the experience of that All, anytime, anywhere. Understand when I say All, I don’t mean ideology. I don’t mean love-n-light-we’re-all-one. I mean we really are all one. There is no separation between the mundane and the sacred. Who’s hurting hurts all. Who’s needing is lack for all.Who’s shining lights all.